ColdFusion is a web application development platform that connects HTML pages to a database. It is one of the most powerful programming languages to create web applications including database access, MS Exchange access, PDF form creation and more. ColdFusion Markup Language (CFML) is used for the creation of ColdFusion applications. CFML helps in dynamic page content creation and applications behavior handling. ColdFusion platform is built on Java and it uses Apache tomcat J2EE. When the browser requests a ColdFusion application page, the ColdFusion Application Server gets pre-processed in that page automatically, by considering the CFML in the page, then the application server executes the application logic and interacts with other server technologies and dynamically generates a html page as response. Quintet offers powerful and high performance websites with ColdFusion. We have years of experience dealing with ColdFusion, and we help to achieve your goals through our highly experienced ColdFusion experts. At Quintet, we have been doing ColdFusion development since many years. We are always committed in giving our clients the best solutions, services and support. Our expert ColdFusion programmers can develop systems tailored to meet all your requirements. Quintet Solutions has worked on ColdFusion projects across various Industries like Healthcare, Finance, Sports and Games, Customer Service, Food Retail, Software Products Development, Online Businesses etc. We have strong knowledge on all versions of ColdFusion released till date. We can be your One-stop provider for all ColdFusion related consulting , development and testing. ColdFusion provides better database exception and error handling. ColdFusion’s database interaction is more powerful through better connection management, and also provides a wide range of additional data types to extend the overall functionality. Dynamic custom fields assures high flexibility to index and search along with supporting additional 17 languages. The data import handler provides improved database indexing and better data control without restarting. Object-relational mapping helps to create and manage database independent applications and the built in lucene search engine performs full-text search of Object relational mapping entities. Supports high quality pdf file creation from HTML and easy manipulation with the CFPDF tag. Retaining all its formattings including css, hyperlinks and layout from the web browser. It is possible to customize your page’s appearance by adjusting size and margin. Also supports headers and footers management with automatic page numbers, bookmarks and file attachments. Provided more secure communication channel with SSLv3. New functions provided for the sanitization of user inputs from clickjacking and cross site scripting. Provides high scalability using multiple server instances in clustered environment. ColdFusion can be easily established as an EAR or WAR file from Java EE application servers. The email engine handles unlimited email sending and receiving. 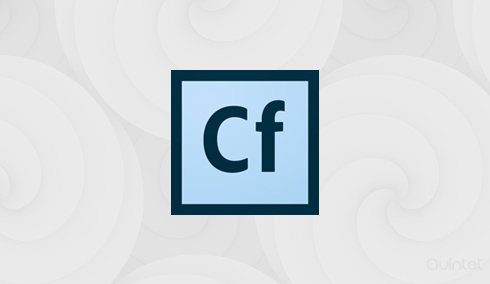 ColdFusion supports interaction with the Microsoft Office files. Helps to generate pdf files from word and PowerPoint files. It also helps to create HTML or SWF files from PowerPoint. ColdFusion offers best methods of file handlings with Microsoft Office files. Provides better performance while using the tomcat application server. Active support of the developer community helps us to be aware about the latest security standards. ColdFusion offers high server performance through its caching techniques including parallel caching and advanced caching libraries. It also supports custom handling of region specific data with multiple cache regions. ColdFusion objects helps easy modification of existing code. And provides new function QueryExecute, that handles database queries from ColdFusion script. ColdFusion supports bidirectional integration with Java, and dynamically load java libraries without a server restart. High performance integration methods are used for the integration handling. ColdFusion supports best methods of email management with minimum code. CFMAIL tag helps to send mail using SMTP server, CFIMAP tag manage email with IMAP server and CFPOP tag retrieves mail from POP mail server. ColdFusion supports social media login integration with your website. Here users are able to use their social media login data as their website’s login data. Authorized methods are used for security. It also supports social media plugin integrations including like button and tweet button. These helps to increase the social media interaction of your website.